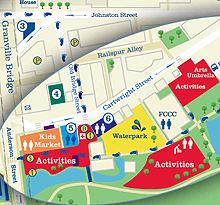 Get ready to boogie with Will’s Jams, award-winning children’s musician and CBC Kids TV star Will Stroet. Jam along with Will as he performs his high-energy sing-a-long tunes with fun actions that kids love! 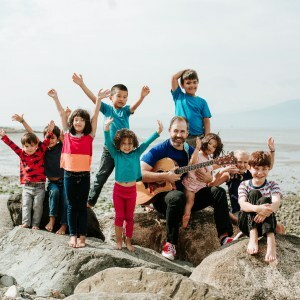 Will connects with kids through his dynamic and interactive music in English, French and some Mandarin. Kids will be cheering for libraries, loving their bikes and rallying for vegetables all while they’re on their feet and dancing away. Featuring Will’s most popular songs plus new ones from his soon-to-be launched album ‘Rocks & Roots’, which focuses on outdoor adventures and trying new things. Welcome to Will’s World! Watch a video of Will’s Jams below! Educational, fun loving, funky folk/rock that children of any age can love and learn from. Upbeat and always entertaining and educational, Will Stroet brings to children’s music what is truly needed: a sense of loving the little things in life while exploring the world around you. Will is sure to be around in this scene for a long time to come. Will’s Jams brings authentic family friendly music to CBC Kids and is a fan favourite on TV, online and at our events.